Albert Zugsmith | 50 Westerns From The 50s. Now this was a great way to celebrate our nation’s independence, with a double feature of High School Confidential! 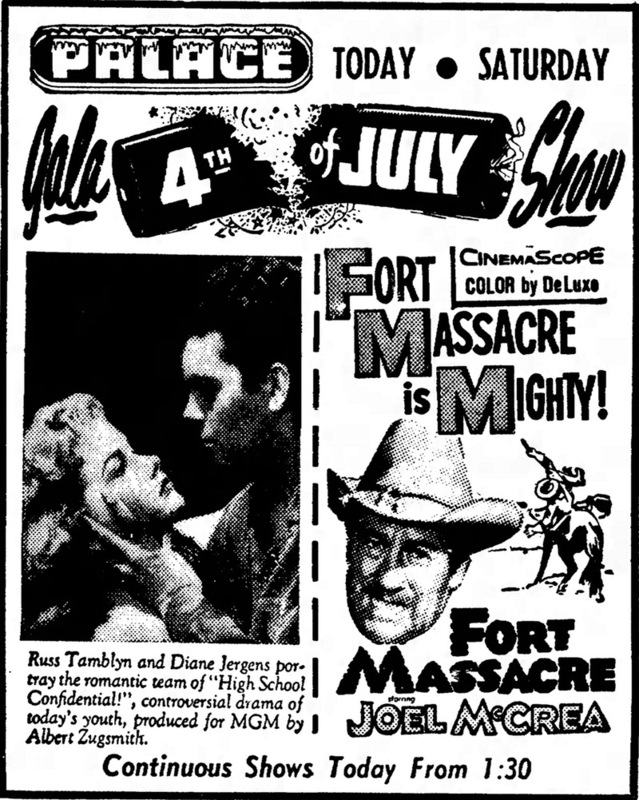 and Fort Massacre (both 1958) at the Palace in Marion, Ohio, in 1958. Remember, Fort Massacre is coming on Blu-ray from Kino Lorber. Here’s hoping you all have a fun, safe Fourth.